SEO copywriter, web copywriter, digital copywriter – which one do I need? If you’re an online business of any size, you will have recognised the need for written content. At the very least you will have embraced the fact that to get anywhere on the search engines you need to have optimised your web copy to include the keywords that are most relevant to your business. If you’re already trading online or contemplating launching a web business and you haven’t recognised the need for a copywriter, then let’s quickly deal with why it’s worth investing in good quality writing by looking at the different words that are used to essentially describe the same role. That’s it essentially. But fairly compelling reasons to place high value on your web copywriting. However, in marketing our services over the last few years we’ve noticed confusion in some of our customers as to what kind of copywriter they need – SEO copywriter, web copywriter or digital copywriter? There will be those out there who disagree. For example, there are companies who want to invest – mistakenly in my opinion – in the cheapest possible content available in the belief that “it’s only for search”. This is a short-term and ineffective use of content. For example, creating one well-written press release can have a dramatic effect on traffic and search results compared to writing hundreds of badly written, keyword-stuffed landing pages. In addition, badly written content does nothing to sell your products or services to your customers. Any copywriter experienced in writing for the web should be able to write to improve search engine results, improve sales and improve customer engagement, while saving you time on any in-house resources you currently use for content creation. Essentially, while the search returns may be different if you type each phrase into Google, there is no real difference in the job descriptions attached to each term. Mistake #1 – SEO copywriting is a highly technical form of writing so I need an expert. Writing for search is not a difficult skill to acquire. The basics can be learned by attending a one-day copywriting course and by watching the results of your work over time. However, good copywriting IS a skill that takes time to develop. Anyone can put keywords in a sentence. Not everyone can write well enough to sell your product or service successfully – in fact, if you want to get the best results you need someone with experience and a track record. Too many businesses are still hung up on search results without questioning the effectiveness of their copy to get sales. This may burst a bubble or two but if you are already good at writing, learning to write for search is not that hard. There are some good courses available online (for example, Heather Lloyd-Martin’s SEO Copywriting Course) but it’s not a skill that requires lots of academic training or years of experience. Again, ANYONE can put keywords in a piece of writing but that doesn’t mean that piece of writing is going to do your company any favours. Conversely, a writer who understands your brand and your customers and knows how to write to sell can make an extraordinary difference to your bottom line. Mistake #3 – Web copywriting and copywriting are distinct disciplines. Yes and no. The writers who get the best results from writing for the web are those who understand the medium and understand how people read online and engage with different content channels such as blogs, social media, articles, press releases etc. The “just for search” argument doesn’t really hold up. Pay for cheap, poor quality content now and you will regret it later. Secondly, you can’t just put content up and pretend it’s invisible. Everything you write is out there in the public domain and could be read. If you employ a search agency that is producing content for you that you are not checking, go and search for it now because that content is representing your company and your brand online. It’s out there FOREVER. If you search on Google.co.uk now for digital copywriter, you will most likely find a list of job adverts. It’s intriguing, but digital copywriter isn’t a term that businesses use (in my experience) to find a copywriting service – it’s largely a term that is used by digital agencies as a job title in recruitment ads for copywriters. I like the term digital copywriter because it encompasses a range of skills that don’t all fit under the other umbrella terms of “online copywriter”, “SEO copywriter” or “web copywriter”. It also suggests a broader expertise covering all areas of Internet marketing, rather than just narrowly focusing on writing web pages. As for cost, it’s understandable when the term is associated with agencies some business owners immediately think a digital copywriter will cost a fortune. 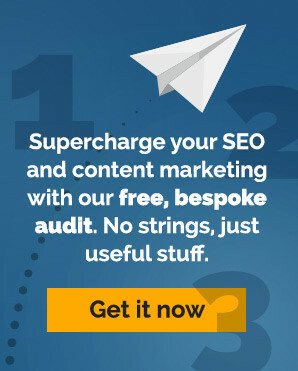 Rest assured that’s not always the case and having one source for all your content, that can also advise you on aspects of your Internet marketing strategy, can deliver real value to your online marketing.